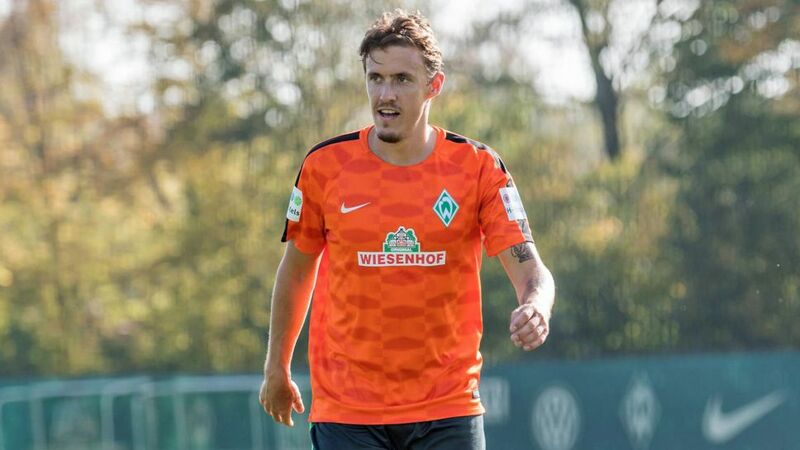 Werder Bremen striker Max Kruse has returned to training for the first time since breaking his collarbone over five weeks ago. The 29-year-old suffered the injury after landing awkwardly following a challenge with Schalke defender Thilo Kehrer on Matchday 4. He was expected to be sidelined for two months, but Werder confirmed on Friday that Kruse has travelled to Cologne with the rest of the Green-Whites’ squad ahead of Sunday’s clash at the RheinEnergieSTADION. “An examination at the beginning of the week showed that he is making good progress,” said Bremen head coach Alexander Nouri, whose side have scored just three league goals so far this season. “Max has been working really hard individually to get to this stage. A return to team training was the natural next step. Kruse netted 15 goals in 23 league appearances last term, but has only made the scoresheet once in 2017/18 - in Bremen’s DFB Cup first round victory over Würzburger Kickers in August. Whether the Hamburg-born frontman is included in Werder’s matchday squad for the Cologne game remains to be seen, with Nouri set to announce his final 18-man selection on Saturday. Click here for more Werder Bremen news!